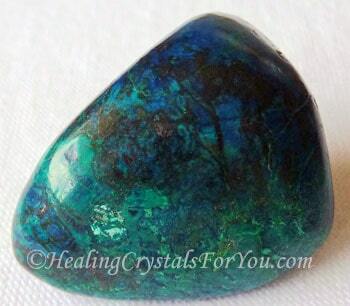 Chrysocolla is a very supportive goddess energy stone, that will inspire verbal expression. It will empower both men and women to communicate in a clear, loving way. It is said that the meaning of the name of this crystal dates back to when it was originally used by people soldering gold. The name comes from the Greek word 'chrysos' meaning gold and 'kolla' meaning glue, together meaning 'Gold Glue'. 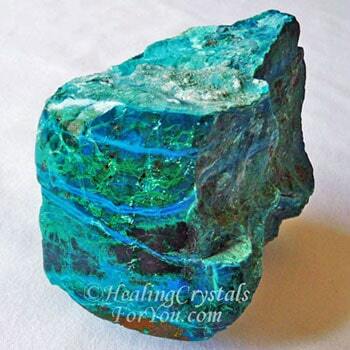 Deposits of Chrysocolla usually occur in the massive form, rather than in crystals. 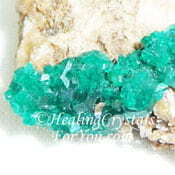 The colors of these crystals range from a medium greenish blue, through to light turquoise blue, green and blue-green. It has been found in Zaire, Zimbabwe, the Congo, Russia, Czech Republic, Spain, Britain, Australia, Indonesia, Mexico, Chile, Peru, Israel and the USA. These crystals are often very attractive, with many stones naturally having beautiful swirls and patterns, depending on the individual stone. This is a copper based stone, that forms when copper oxidizes. Commonly found in copper mines, it is often found intergrown with other copper based stones and may occur in and with quartz or calcite. 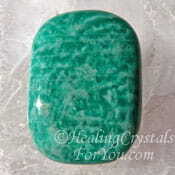 Gem Silica is a crystallized form of this stone where Chrysocolla is infused in quartz. 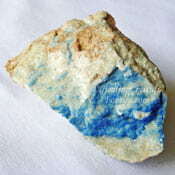 It is commonly found with Shattuckite, Malachite, Azurite and with Cuprite. Both Quantum Quattro and Eilat stone are both stones that naturally contain Chrysocolla as one of the minerals that make up these stones. The spelling may vary as it is easy to misspell, and various spellings are common, such as Chrysacolla and Chrysocola being used in some places. Be careful that you don't buy Chrysocolla Howlite, as this is dyed Howlite stone. 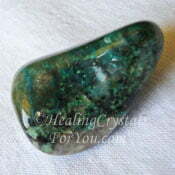 Depending on the actual mix, these mixed stones are often extremely powerful to work with. It is beneficial to understand the metaphysical properties of each individual stone in such mixes to enable you to work out how they may benefit you. They are lovely healing crystals for you to use, as you may benefit from their excellent energy to aid your communication abilities. It is empowering of the feminine energies, and this vibration encourages both men and women to understand and fully embrace their feminine side. Depending on the colors within the stone, it may make a deeper connection to aid healing of health issues associated with specific chakras. It has a good action to aid anxiety and stress as it brings a soothing and calming energy through, which makes it one of the helpful methods to relieve stress. When you are feeling angry, and find it hard not to mouth off at others with angry words, keeping a piece of this stone on your body, preferably at the throat or heart chakra, may benefit you. I just love the large piece shown in the picture above, as it is wonderful to hold in my hand to calm my emotions. This stone has a revitalizing and soothing action within the lower three chakras, and may help to link the heart chakra and throat chakra with the base or root chakra. It is known to help to heal the thymus gland and to aid healing of thyroid problems, so wearing a piece of this crystal near your throat may be beneficial to help these issues. 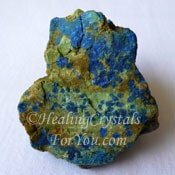 Chrysocolla is an excellent assistant to have within your auric field to aid verbal expression. It is helpful to keep on your body, as it is a powerful stone to aid you when you are communicating with others. 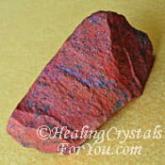 There are so many occasions in your daily life where this crystal may benefit you. 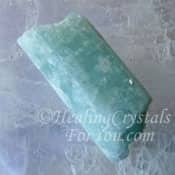 The action of this crystal may aid you to speak words of an inspired nature, which can be highly beneficial to others. Whether you are at home with your family, socializing with friends, attending groups such as meditation or in your work situation, it may help you. It is known as a teaching stone, and it is common for it to stimulate your communication. 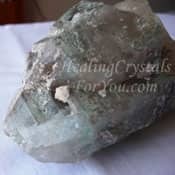 The vibration of this beautiful crystal within the throat chakra may energize the words you speak. This may particularly benefit you if your work relates to speaking to groups. It can be helpful to use it at the solar plexus chakra, especially if you need help you to let go of negative emotions such as guilt and fear. It can be helpful used there to intensify your own personal power. Use it the base chakra to make an earth connection, to allow empathy to be felt more easily. It is a helpful stone to use for assisting with the healing of the earth as it may aid your spiritual attunement with Mother Gaia. 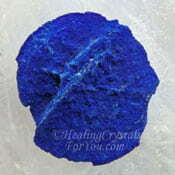 It has a lovely energizing and grounding action when used at the base or root chakra. Use it at the sacral or navel chakra to help in the healing of stress and adrenal fatigue issues, and to enhance your overall creativity. 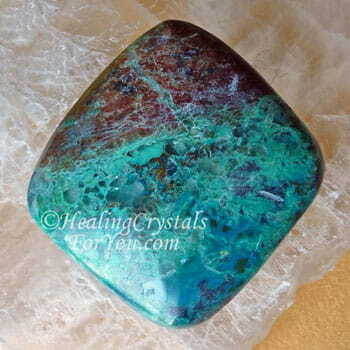 The action of Chrysocolla will also help to stimulate a greater degree of inner knowing, and inner strength. It can help you to remain calm when things in your life change, and especially if they are unexpected. 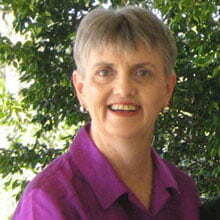 It may help when personal relationships become difficult, as it will aid communication between couples. This energy will help you both to speak truthfully from the heart and achieve understanding of the situation from the others perspective. It enhances your patience, allowing you to hang in there until the timing is right. By also helping to calm your emotions and to relieve stress, this makes it easier to discuss difficult and private aspects of your relationship. 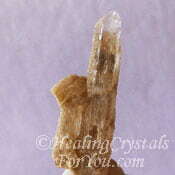 One of the great ways to use this crystal, is to use it in your daily meditation. 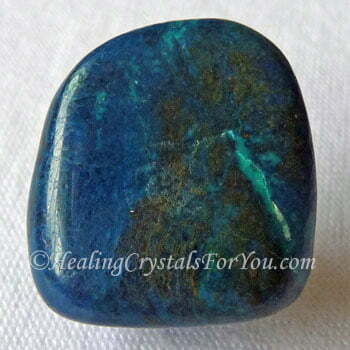 The vibration of this stone helps to draw off negative energy, and aids you to release fear. 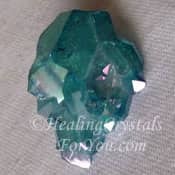 The action of this crystal when used at the third eye chakra in meditation, helps to stimulate clairvoyant abilities, also known as psychic visions. 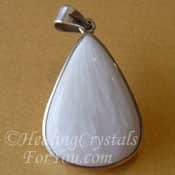 Other psychic gifts that may be helped by using this lovely stone, include its power to aid you to develop improved intuition. 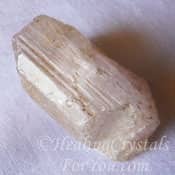 The vibration of this crystal is also powerful when used on a one on one basis, including in conversations with family, friends or colleagues. How often have you felt the need to have a friend say just the right words, in a truly loving and heartfelt way? 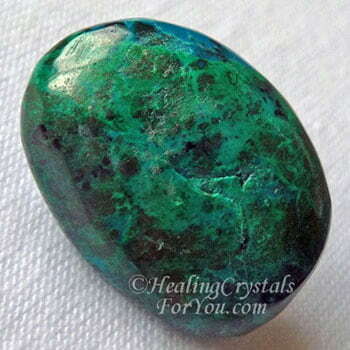 Chrysocolla is very helpful when you are with someone who is feeling unhappy or has problems. It assists you to speak to them in a way that helps to soothe them and calm shattered emotions. 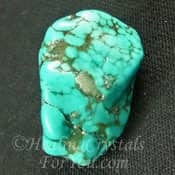 This stone has a truly loving vibration, that will help you to spontaneously share your loving feelings with others, and to have compassion for the emotional problems of others. 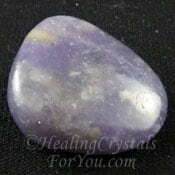 This crystal also has an energy that helps to calm the nervous person who has difficulty in keeping silent. You may know a person like this, someone who always fills the gap in the conversation, and who speaks without thinking. 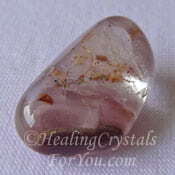 Using this crystal will help you to be guided to assist them with loving words when needed. If you have this problem, this stone has a calming and soothing action, that will help to quieten your words when needed. Its energy may help you to choose the words you say with care, and aid you to share your knowledge from a heart based perspective. Chrysocolla jewelry is easy to buy, and many of these crystals are very attractive, with beautiful colors in the stone. 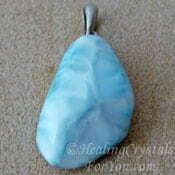 This is an easy stone to find made into jewelry, and wearing it will help you more easily make changes in your life. 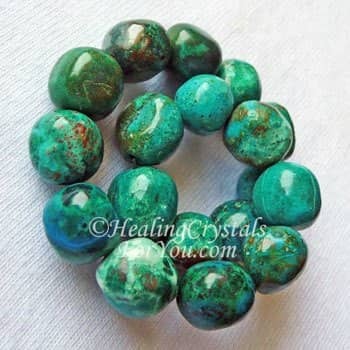 Wearing Chrysocolla, and especially Gem Silica is known to benefit singers and musicians, as its energy is very supportive for anyone doing activities related to sound. It may be particularly helpful if you play or sing, as it has a good action to boost musical activity. 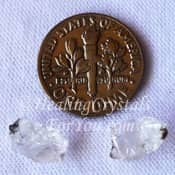 This crystal is both a Gemini birthstone as well as a Virgo birthstone, and there are many advantages to wearing this stone. 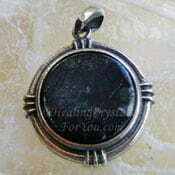 It is particularly helpful to aid loving communication and to bring you increased energy and vitality. It is an advantage to keep one of these stones within your auric field, as they are helpful in so many ways, including aiding communication. 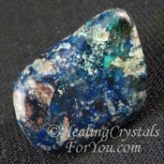 This lovely blue-green stone appears on the zodiac birthstones list, so you should be able to find lovely jewelry made from it. 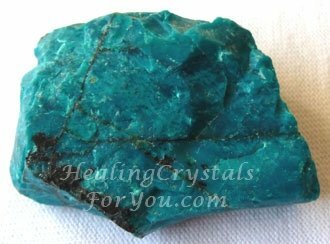 Chrysocolla is a beautiful blue green crystal with a loving energy that will help you to allow change to take place in your life. 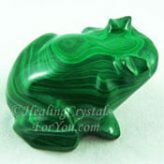 It is a strong communication stone, with a heart based vibration that helps to create loving and inspired communication. You may choose to wear this crystal close to or at the throat, as having it in this area may help you to experience empathy more readily. Having it there may also aid the healing of problems in the thyroid and thymus glands. "The real art of conversation is not only to say the right thing at the right place, but to leave unsaid the wrong thing at the tempting moment." Dorothy Nevill. Other throat chakra stones that also have a strong energy to aid your communication may be used with this stone, to accentuate its action. 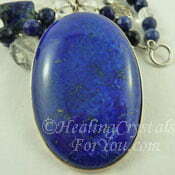 These include Lapis Lazuli, Ajoite, Amazonite, Aquamarine, Aqua Aura Quartz and Larimar stone. 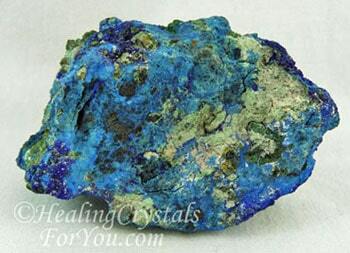 You may combine Chrysocolla with other copper based stones, to help to accentuate the energy of both stones, including Dioptase, Shattuckite, Cuprite, Turquoise, Quantum Quattro, Covellite, Ajoite, Azurite, Malachite, Eilat Stone and Atacamite. If you are feeling stressed, anxious or depressed, there are a number of crystals that can be combined with this stone to help you. To see the list of other stones that may help you, and some methods that might relieve your stress, check out the list in my article on methods to relieve your stress, and other information that may help you. If you are feeling stressed, some particular stones that you may like to use includes Lithium Quartz, Larimar, Lilac Lepidolite, Amazonite or Kunzite Crystal. 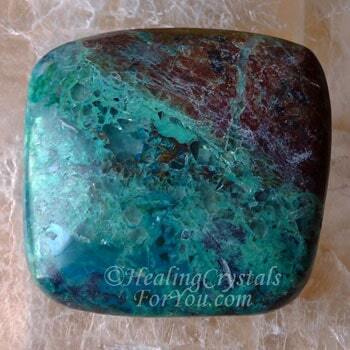 To strengthen the action that Chrysocolla has to stimulate psychic visions and for developing your intuition, you may choose to use it with high crystal energy stones, such as Phenacite, Natrolite and Scolecite.